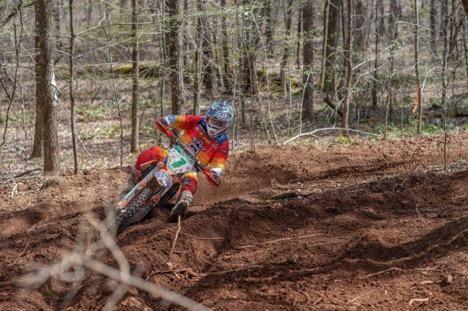 For 2019 we expanded our GNCC rider roster to three pro, two amateur and for the first time a youth rider as we begin our most ambitious GNCC season to date. Returning to the team is 2018 XC2 250 Pro Champion Ben Kelley who is looking to defend his championship this season. Along with Kelley, we are excited to have Johnny Girror who will also be battling in the XC2 250 Pro class this season. Jesse Ansley will be screaming his 2 stroke in the FMF XC3 125 Pro-Am class looking to also defend his 2018 Championship. Joining us again this season in the 250A class are Simon Johnson and Owen Giese after finishing 3rd and 6th for the year in the class last season these boys are ready to throw down and better themselves. Lastly, we added Brayden Nolette to the line up this season and he will be racing the YXC1 Super Mini class. For The General conditions were just about perfect as the flag waved to start the PM race. Ben Kelley explained "I didn't get off to the best start, but I was able to make my way into the lead in XC2 on the first lap". By lap 2 Kelley held his lead while teammate Johnny Girror moved into third in class. From there on out Ben continued to battle with the XC1 line while pulling a 2:23 lead from 2nd place in class, and up to 7th position overall. “I rode by myself for the majority of the race. I tried to focus on my own race and stay smooth. I was able to do that and string together consistent laps, which is just what I needed to do to secure the win”. Johnny Girror would continue to battle in the 3rd place position and settle into that place for the day never allowing second place to pull more than 40 seconds on him. Both guys would finish the day on the podium two weeks in a row, Kelley taking 1st and Girror in 3rd. 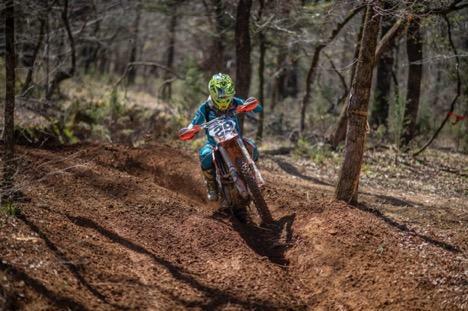 Jesse Ansley was ready to battle at the start of the PM race, but after getting a good start in the FMF XC3 125 Pro-Am class he would find himself in the pits struggling to correct a technical issue with his support crew. Unfortunately the problem was never fully resolved and Jesse finished the day 8th in the class but still holding down 2nd in his series points. Simon Johnson got off to a mid-pack start in 250A class and settled into 4th place on the first lap, and would hold down that position for the entire race. Teammate Owen Giese, who is still recovering from a late off season surgery, checked in after lap one in 15th place. He would spend the entire day pushing the limits and battling for positions, by the checkered flag he was able to move up to 10th place on the day. In the Youth race, Brayden Nolette got off to a great start after shaking off some beginning of the season nerves. As he came around into the scoring area after lap one he would find himself in 3rd place, with 2nd well within reach. By lap 6 he was able to move into 2nd place and build a 13 second gap. When the checkers waved Brayden came through still holding onto 2nd in class and overall for the day. "This past race was great, I felt awesome and it seemed like everything came together!" Brayden said, he explained "I liked all of the track, it was super fast and the dirt was almost perfect." Thank you to our team sponsors: KTM, FMF Racing, Troy Lee Designs, Dunlop Tires, Motorex, Super B Batteries, Bullet Proof Designs, P3 Carbon, Motool, Squid Decals and Edelmann Sales for their continued support. 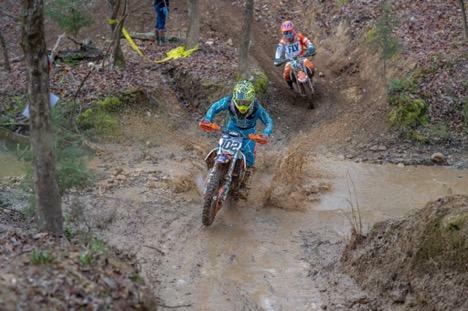 Trail Jesters Racing is a KTM support team established in January 2014. We race off-road motorcycles at the professional, amateur and youth level of national and regional series.